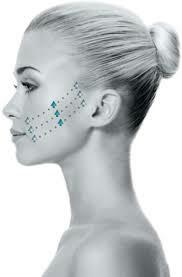 InstaLift is minimally invasive face lift procedure. While most skin lifts require extensive surgery, thanks to the new specially engineered sutures there is no surgery required. The sutures are inserted into the skin where they hold your skin up and stretch it out to make your skin look years younger. The sutures are equipped with smooth bidirectional cones, held in place by tied knots placed at specific intervals to help ensure that the skin stays in place. The ideal patient for this procedure is someone whose skin is moderately sagging, or has folds and wants to appear younger. If your skin is healthy enough then you would be a perfect patient to have the procedure. The only way to really be sure that InstaLift would benefit you is to talk with one of our physicians and gain their professional opinion. You can call our offices at (914)-242-2020 to set up a consultation to see how an InstaLift procedure could help you. The procedure itself is very simple. A needle is used make a tiny opening less than a centimeter deep in your mid face region. The sutures are then inserted in the mid-facial tissue. The sutures themselves are made from glycolide/L-lactide a well known biomedical copolymer which is usually well-tolerated in the body. Once the sutures are in, the physician compresses the tissue and lifts the skin. 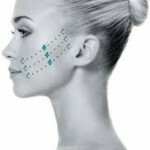 By doing so, they are able to stretch and smooth out the skin to give you a younger looking appearance. There is about a two day recovery period and significant results appear after about three weeks and can last for up to 18 months. The cosmetic benefits for InstaLift are very apparent. Skin becomes visibly smoother and tighter immediately, and it continuously improves for about three weeks. Wrinkles and folds begin to fade away and you get your younger version of you for up to 18 months. This procedure is also a lot less invasive than a typical face lift. While most lifts require surgery and incisions, InstaLift only needs local anesthetics to work. It is also far less costly than a typical face lift, and still produces great results. How To schedule your appointment? The best way to set up an appointment would be to schedule your consultation by calling our office at (914)-242-2020. You will be able to meet with a professional and decide what course of action will satisfy your needs.